01 XIth Annual National Conference of Society of Toxicology India. Effect of monocrotophos on 17-ketosteroid level in Heteropneustes fossils. Veterinary College, Anand, Veterinary College, Anand, Gujrat, Nov. 25 & 26, 1992. 02 MP Young Scientist Congress Lipid peroxidation mechanism of biomembranes of respiratory organs in Heteropneustes fossilis.A perxidative mechanism of stress tolerance. MP Council of Science and Technology, Bhopal. Dr. Harisingh Gour University, Sagar, February 28 to March 02 1994. 03 International Conference on Sustainable Development of Environment and Wild Life, Free radical induced neurotoxicity and antioxidant status after temperature stress. Centre for Environmental Management MP Institute of Social Science Research, Ujjain MP Vikram University, Ujjain, December 18 & 21, 1997. 04 13th MP Young Scientist Congress Responses of lipid peroxidation superoxide dismutase activity. Ascorbic acid and phospholipids content in liver of freshwater catfish Heteropneustes fossils to monocrotophos exposure. Jiwaji University, Gwalior, MP Jiwaji University, Gwalior, MP March 20 to 22, 1998. National Seminar on Rural Development by Panchayati raj. Possibilities of Rural Development By Panchayati raj in Madhya Pradesh. National Research Seminar, UGC, CRO, Bhopal. Organized by Govt. Maharaja College Chhatarpur, March 09–10, 1998. 06 National Political Science Research Seminar on Rural Development by Panchayati raj. Development in MP by Democratic Decentralization and Panchayati Raj. National Seminar on Rural Development by Panchayati raj. UGC, CRO, Bhopal. Organized by Govt. Chhatrasal College, Panna MP. April 15-16, 2000. 08 National Seminar on Chemistry and Environmental Toxicity. Studies of catfish diversity at Chhatarpur city (M.P.) India UGC CRO Bhopal. Smt Indira Gandhi Govt. Girls College Satna, October 15-16, 2011. 19 National Science Day Genetically modified crop and food security. In National Science Day, Chhatarpur. MP Council of Science and Technology, Bhopal. Govt. Maharaja College Chhatarpur. March 05, 2013. 24 National Conference on Sustainable development and Wildlife conservation. Local Perception of Natural Resource Conservation in Wildlife Sanctuary. The National Academy of Sciences India. & MPCST, Bhopal. Environment and Social Welfare Society, Khajuraho. 36 National Seminar on Natural Resources Management, Genetic Resource Conservation & Human Welfare. Biodiversity an indication for integrated environmental assessment. UGC CRO Bhopal & MPCST Bhopal. Govt. Girls PG College, Rewa. November 08 & 09, 2014. 43 National Workshop on Dissemination and Improvement of Existing Scientific Skills in Rural Areas. Role of Fisheries in rural development. 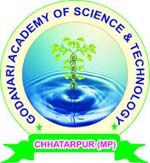 MPCSTechnology, Bhopal & BERC Chitrakoot, The National Academy of Sciences India. Mahatma Gandhi Chitrakoot Gramodaya Vishwavidyalaya, Chitrakoot, March 14 & 15, 2015. 51 3rd Annual National Conference on Strategy for human welfare on Nature conservation and Resource management. A Study of Biodiversity in Jatashankar Madhya Pradesh with special reference to Historical value. The National Academy of Sciences India. & Madhya Pradesh Council of Science and Technology, Bhopal. Environment and Social Welfare Society, Khajuraho. 31 January and 01 February, 2016. 52 National seminar on next generation and challenges of Education, Health and Environment Environmental sustainability: Challenges and opportunities facing the next generation. Govt. Maharaja College, Chhatarpur Govt. Maharaja College, Chhatarpur March, 04 & 05 2016. 53 National seminar on Impact of Agriculture innovations on Environment Environmental Issues, National seminar on Impact of Agriculture innovations on Environment MP Higher Education, Govt. of MP. Govt. Maharaja College, Chhatarpur. March, 12 & 13 2016. 65 Seminar on World Environment Day. Connecting People to Nature Madhya Pradesh Jan Abhiyan Parishad, Govt. of MP Madhya Pradesh Jan Abhiyan Parishad, Vijavar, MP. June 5, 2017. Biodiversity and environmental challenge Faculty of Science & Environment, Mahatma Gandhi Chitrakoot Gramuday Vishwavidyalaya, and D.R.I., Chitrakoot December 06-08, 2018.